We are bombarded with messages about how harmful it is to spend extended amounts of time in the sun during summer, but most people don’t take the advice to heart. This is unfortunate because melanoma rates are rising in the developed world. Many people don’t even realize that extended exposure to the sun’s rays can cause this type of deadly cancer. August is Summer Sun Safety Month, so with that in mind here are three tips for stay safe this summer. The eyes are the most sensitive part of the body in terms of harmful exposure to the sun’s rays. 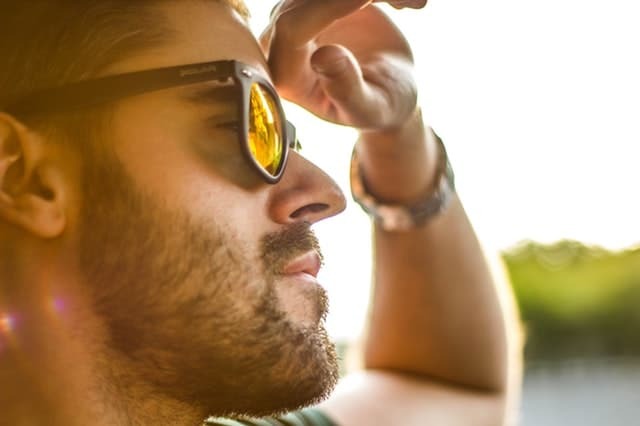 Ultraviolet radiation from the sun can cause significant damage to the sensitive and small blood vessels in the eyes, like macular degeneration and cataracts. These conditions are usually irreversible. Even if you try to avoid exposure, if you’re outside with no sunglasses you will almost certainly get accidental exposure. Picture some friends throwing a football around on the beach. If they’re not wearing sunglasses, every time they look up to locate the ball they will be exposed to UV radiation on their iris. If you have a pale complexion, it’s important to get your moles checked annually for irregularities. Dermatologists follow the “ABCDE” rule when looking for moles that could have developed into skin cancer: asymmetry, border irregularity, color, diameter, and evolving. A mole that has one of these traits outside of the norm is worth performing a biopsy on. This is when the dermatologist sends a skin sample of the affected mole to a lab where it’s tested for cancer. Since skin cancer is often misdiagnosed (even by professionals), it’s best to get a second opinion if you do get a cancer diagnosis. This entails seeing another dermatologist and having them perform the same procedure, to test whether they get the same results. The sun is at its highest point from 10 AM through 2 PM. This corresponds to the harshest and most damaging UV rays. If possible, try to stay indoors during this time to protect your skin. If you must go outside, be sure to wear sunscreen and protective clothing. One useful tool for determining sun safety and avoiding the worst sunburns and skin damage is tracking the UV Index. This is a data point the government publishes daily indicating how strong UV rays are for each region. In 2004 the Environmental Protection Agency (EPA) revised the UV Index. They published an informative guide to their new rating system. If the index is at 11+, it’s best to stay indoors until it drops into a safer range.